Read about "Vista Penthouses" here! Move in date is almost here! 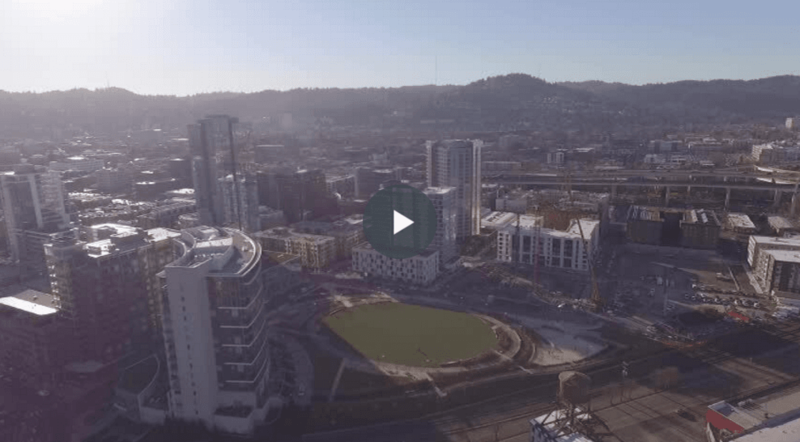 Formally known as Block 20, The Vista North Pearl will be the Pearl District's newest addition! Rising 21 stories with 153 condominium residences. Located at the edge of The Fields Park in a wonderful North Pearl location. Hoyt Street Properties, the Portland developer will be building another high-rise tower, this one a 20-floor residential building next to The Fields Neighborhood Park, city documents show. The proposed building - on a block in the North Pearl bounded by 11th Avenue, 12th Avenue, Pettygrove Street and Quimby Street. Portland-based Boora Architects is designing the building. Construction is underway on a 20 story tower designed by Bora Architects for Hoyt Street Properties. The 246′ tall tower will include 150 residential units, offered for sale as condominium units. Flex retail / office spaces will be located at the ground level, facing NW 11th, Pettygrove and 12th. 168 car parking spaces and 229 bike parking spaces will be provided.